Ceiling pipes, plumbing lines, air ducts, and electrical pipes – they are important for the appropriate functioning of the power, heating, cooling, and drainage systems in our homes. But, let’s face it. They are an eyesore. 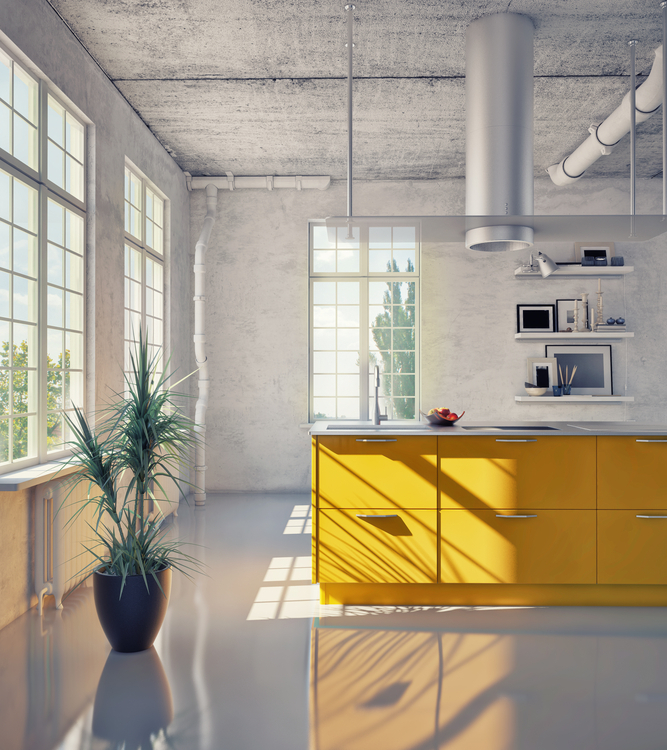 Exposed pipes ruin our interiors and make our homes look crummy. They are a distraction and take away from our captivating decor. We often find ourselves investing in false ceilings, designing cabinets, and sometimes, breaking down walls and reconstructing them, just to make sure the exposed pipes are hidden deep down inside our homes. Effective as they are, these methods need a lot of financial investment and time. Plus, you also have to find qualified professionals who charge you a hefty fee for their services (uh-oh). What if you cannot afford to do so? Does that mean you’ll have to live with your drawing rooms looking dreary and your bathrooms unsightly? Not anymore! Read on as we show you ten cheap but interesting ways to cover your exposed pipes. 4. Build a bookshelf around and/or in front of your pipes. 11. Use colorful insulation tape for electric wires – Absolutely yes! Indeed, when in doubt, go with industrial style, retro, or rustic, or classic, and let those pipes show! Of course you’ll need a lot of careful color coordination to make the exposed pipes stand out. 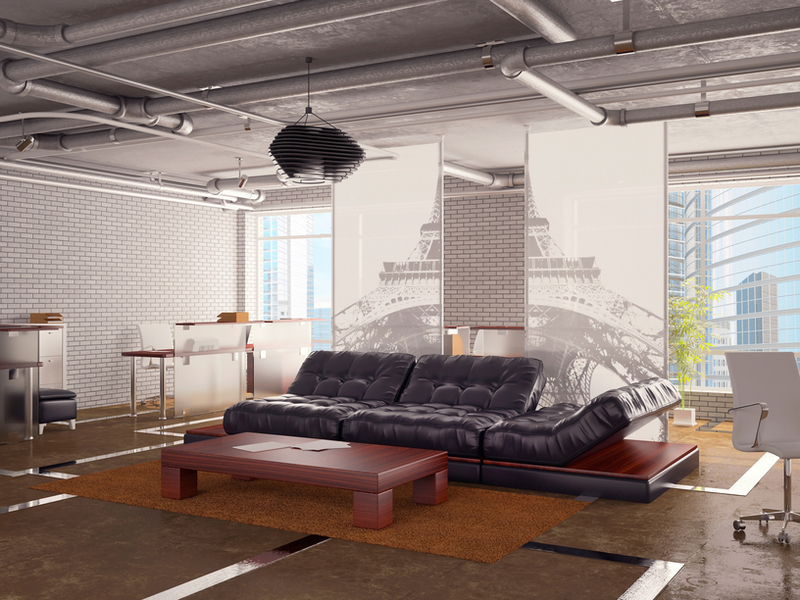 For instance, neutral walls and earthy flooring with black or copper metallic pipes are a killer combo. Place vintage furniture, a colorful carpet and maybe, a few artifacts or decorative potted plants and your living area will look sensational. You can check this decor for inspiration, one of our favorite designs. Check out this great DIY project with rustic wood and exposed pipes! You can actually buy both the wood pipe wrapping and optional pipe or post table. Check these solutions out (available at Polewrap.com). You can use Everblocksystems modular blocks to easily conceal plumbing pipes or other exposed pipes in your home. Not only can you conceal the piples, but you can very likely do so in a way that gets you something useful at the same time. While this is an example of a room divider, the point is that you could easily use these modular building blocks to conceal exposed piping, especially if along a wall. As you can see these blocks can be built from floor to ceiling to cover up pretty much anything. Not only do you get ample storage space for your paperback copies, but building a bookshelf around exposed piping also presents an exciting possibility of using industrial plumbing to make your library look chic and elegant. You can buy fat plants, tall plants, skinny plants, leafy plants… pretty much any shape or size you could want and then use these to conceal piping. In fact, you could use vines to either decorate or fully conceal. Pipes under the sink are, unfortunately, always a distraction, especially if your bathroom or kitchen is tastefully done. Why don’t you hide them under a sink skirt? Choosing the right fabric and color for your skirt is extremely crucial. You might either want to blend in or stand out – both ways work extremely well. There are custom skirts available for sale at Amazon, eBay and other shopping sites in a variety of styles, so you might want to look at them too. Going rustic with wooden walls, earthy hues, and exposed water pipes wrapped with rope is an extraordinary way to furnish your bathroom. You can use many different types of rope including thickness, colors and texture. You can also do a simple wrap or something more decorative. The design is not only great to look at, but is also very soothing. Just imagine what a nice hot shower in this bathroom would do to your soul, especially after a long tiring day at work. Here’s a video demonstrating how to do a corncob braid around a post. Steel pipes are expensive, yes, but they also make your bathroom look majestic. Pair steel pipes with a neoclassical interior decoration design and you will never need to worry about your bathroom modeling ever going out of fashion. Timeless and chic, steel pipes can be used almost everywhere, under your kitchen sink, in your laundry area, and in the basement too. They also come with other benefits like strength, durability, and minimal corrosion, so this would be an investment you’d be making for life! We did speak about painting pipes before – but this one comes with a twist. Let “painting pipes” be a holiday assignment for your kids. Help them use their creative skills, imagination and watch them come up with spectacular results. You might not have exhibition worth art but it’ll definitely be cute. Moreover, you’ll spend quality family time and have memories to cherish forever. Or go with copper. Copper piping looks pretty cool. So too does silver. Why not spruce them up with silver or copper paint? Washi tape can turn your exposed pipes from an eyesore to a piece of art. These decorative tapes are available at local stores for really cheap prices and can transform your bathroom decor from drab to fab. For more design ideas that won’t break the budget, click here! Electric wires cannot be left exposed. They absolutely have to be covered with insulation tape. But you do not have to stick with boring white or black insulation tapes all the time. There are a variety of printed and bright colored tapes available at Amazon and eBay for low costs. Keeping in mind the ambiance of your house, you can select whichever color best fits in. After you choose the color, check this article on how to choose the right tape for your electric insulation needs. This is an excellent idea to give your house a tropical feel. Fake foliage is a minimum-fuss solution to exposed pipes ruining your home decor. If you can handle real foliage, invest in climbers and creepers. They do require some effort in pruning, watering and conditioning them, but trust us, they look exotic! A flowering creeper or a money plant would be an ideal solution for real foliage. Watch this video that steps you through painting PVC pipes with candy cane stripes. Intrigued? We knew you would be. If you have PVC duct pipes popping out of nowhere in your drawing room or sitting area, you can transform them into candies. Look at this picture, for instance. The idea is awesome, takes really little effort and can spruce up your decor in no time. Paint the pipe white and then wrap red tape around it in bands. Drill holes on every white band, tie a lace ribbon to the candy, and you’re done! Do you have any more creative ideas that could effectively hide (or make use of) exposed pipes? Any more stylish pipe designs that can easily make your living space look snazzy? Why don’t you share them in the comments section below? We’d be thrilled to hear from you!